Adventures In Kenya. | The Incidental Tourist. If you are looking for a holiday with a difference, one that combines eco-consciousness with sweeping beach sunsets and once in a lifetime wildlife encounters, then Kenya should be on your list. My adventures in Kenya, rescuing sea turtles, exploring vibrant Nairobi, visiting the David Sheldrick Wildlife Elephant Orphanage and the incredible Masai Mara. 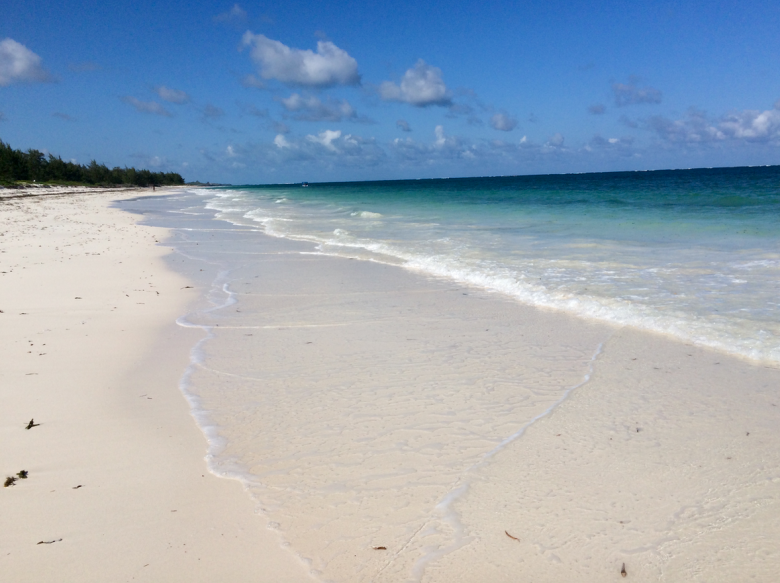 It’s an easy flight to Kenya’s East Coast with Watamu my recommendation for an idyllic beach holiday. Picturesque Watamu village spoils for choice when it comes to activities on offer. 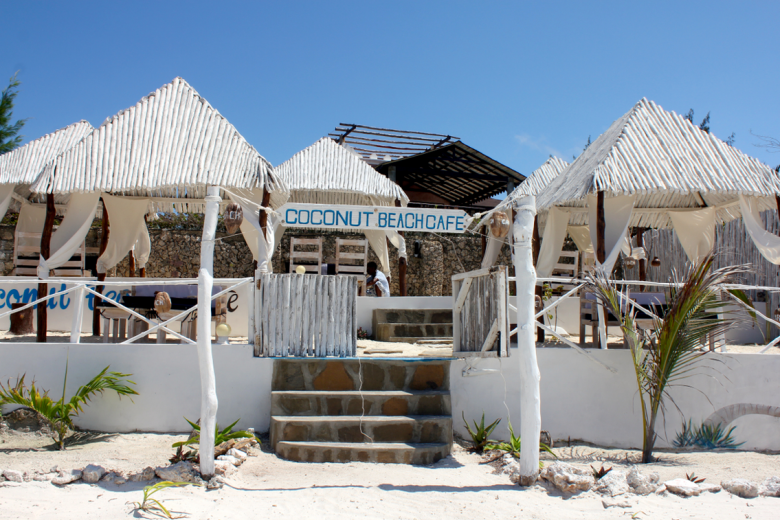 With water sports in the Marine Reserve including snorkelling and diving in the coral gardens and turtle reef. You can take lessons in kitesurfing, stand up paddle boards (SUP), windsurfing, kayaking and body boarding. Should you prefer to go on a safari, Kenya’s largest game reserve Tsavo National Park, is just a two hour drive away. 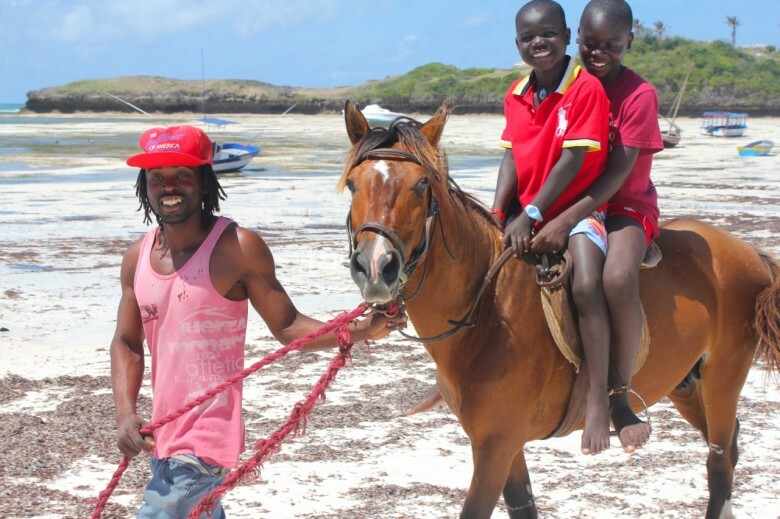 There are sunset Dhow cruises, walks in the mangrove forest, mountain biking and the neighboring Arabuko Sokoke coastal forest to visit, as well as the ancient Gede Ruins, the remains of a Swahili town with origins dating back to the 12th century. Don’t miss sundowners at Mida Creek and some shopping for art and curios. You even have the option of taking a yoga class at Watamu Treehouse and are spoilt for choice when it comes to fine Italian pizza, given the many Italians who consider this their second home. A must visit is Bio-Ken Snake Farm and research centre who do work developing anti-venom and educating all they can not kill snakes on sight in their Saving Snakes program. A perfect way to add meaning to your time in Kenya is to sign up as an Eco Visitor at the Local Ocean Trust: Watamu Turtle Watch. I spent a week here learning about the essential work being done. My time there involved lessons in their By-catch Programme and Hatchlings Research with Fikiri Kiponda, the Turtle Field Coordinator. As well as the theory and data which is the basis of conservation. In my case a whole new understanding was born. We took an injured turtle for X-rays, were lucky enough to witness hatchlings leave their nest and make a runner to the waters and collected numerous turtles captured by fishermen in their nets, tagged and released them into the ocean. We walked the coastline uncovering illegal fishing methods and spoke for hours about the challenges this precious species faces. At the end of the week a sense of satisfaction, mingled with the reality that more needs to be done and there’s an incredible team in place doing it, who need support. Highly recommended. 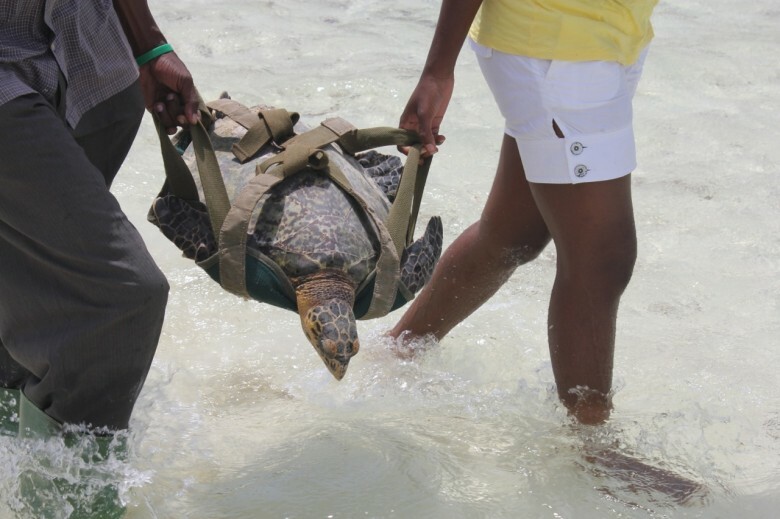 A video of my time with Watamu Turtles. Allow at least a full day in Nairobi as this vibrant city has much to offer. Logistically it may be easier to base yourself in Karen, although either way you can spend a day in the area. Among the attractions that I recommend are the following. 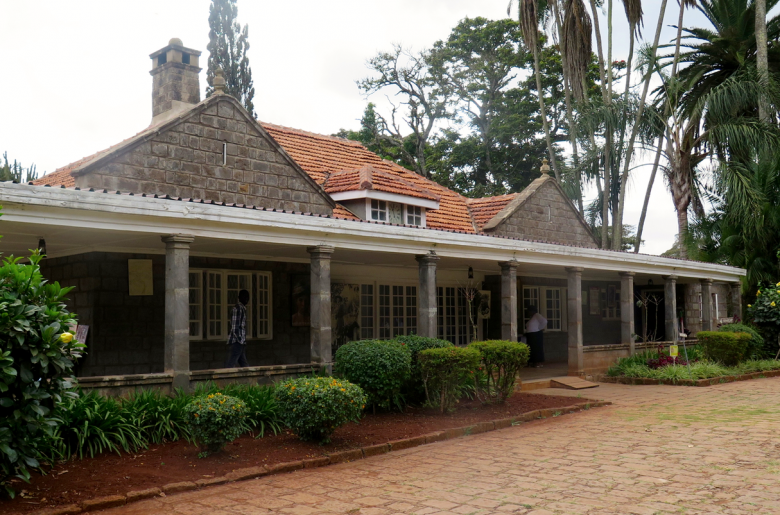 A visit to Karen Blixen Museum to walk in the home of a woman who’s brave life is portrayed in the book and movie Out of Africa. 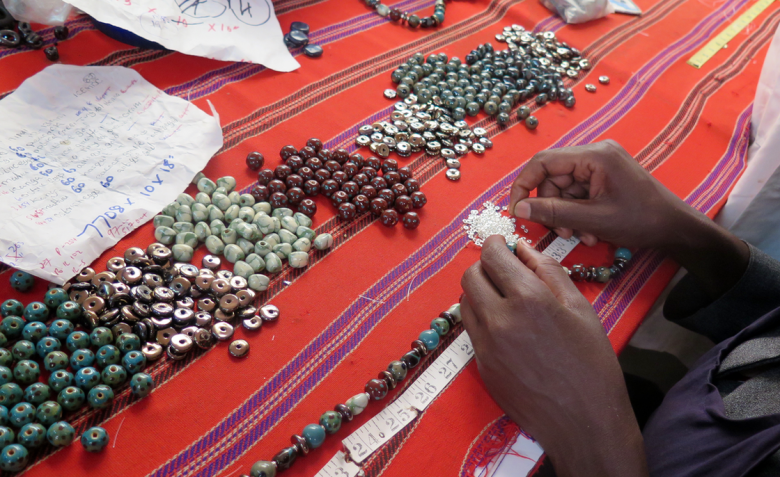 Take a tour of the Kazuri Beads Kenya. For shopping look to Love Bird Curios and the very impressive Utamaduni Craft Centre. Other attractions in the area include the Giraffe Centre where you can kiss a giraffe if you’re completely mad like I clearly am. Visit the Masai Market and even Kibera, the largest slum in Sub-Saharan Africa. The Nairobi National Park is nearby too. A must do in Nairobi is a visit to The David Sheldrick Wildlife Trust Elephant Orphanage. Here you will learn about the good work being done in rescuing and rehabilitating orphaned elephants and rhinos. There are currently 29 babies in their care, all rescued after losing their mothers to poaching, human-wildlife conflict or even after falling down wells. 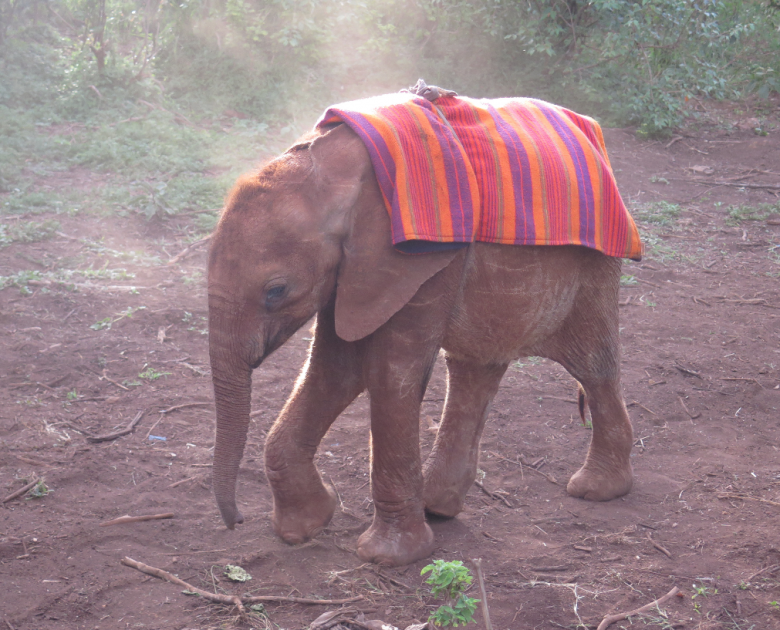 If you plan to foster one you can go in the afternoon and catch them coming in from a day in the park, Masai blankets on the babies, ready for their dinner of milk before bed. To date, they have successfully hand-raised over 150 orphan elephants and successfully reintegrated them back into the wild herds of Tsavo, with many healthy wild-born calves from former-orphaned now roaming free. It’s a moving very special experience. As far as the eye can see the landscape is vast, exactly as I’d imagined finding the much famed African plains of the Masai Mara with its scatterings of umbrella-like acacia trees dotting the land. The word Mara literally means ‘spotted’ and this is where it gets its name, as well as the colour red of the earth that pushes through the green grass. We climb into the vehicle with our guide David Lomali and head to the Olare Mara Kempinski lodge that will play home as I realise my dream of a true Kenyan safari. On the way, sun-bleached bones litter the land as wildebeest and zebra graze nearby, oblivious to the pack of lions that lie fully sated under a tree, looking deceptively domesticated. It’s instantly clear why this reserve is said to have the highest density of lions in the world. They are everywhere. I’ve just spent a few days in Nairobi, getting better acquainted with the soulful capital and its rich offerings. From there some time on safari before an extended stay on the scenic East Coast and some work with a Turtle rescue centre in Watamu. There is an efficiency and pride in the people who welcome me, a relaxed sense of freedom about. I recognise it as the Africa that I love. Hard to believe that this is a country that has struggled through hardships in the past few years with terrorist incidents that shocked the nation, yet even harder to understand the advisories saying don’t visit. Here I am, safe and well cared for as I discover the rich offerings of Kenya, the very ones that have been drawing tourists for decades. 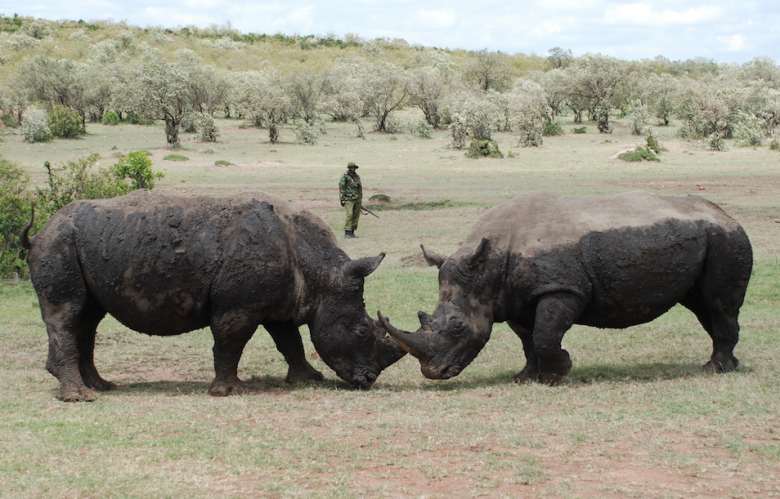 You have the choice of staying within the actual park or opting for one of the private concessions, which I did, selecting the rather special Olare Motorogi Conservancy. 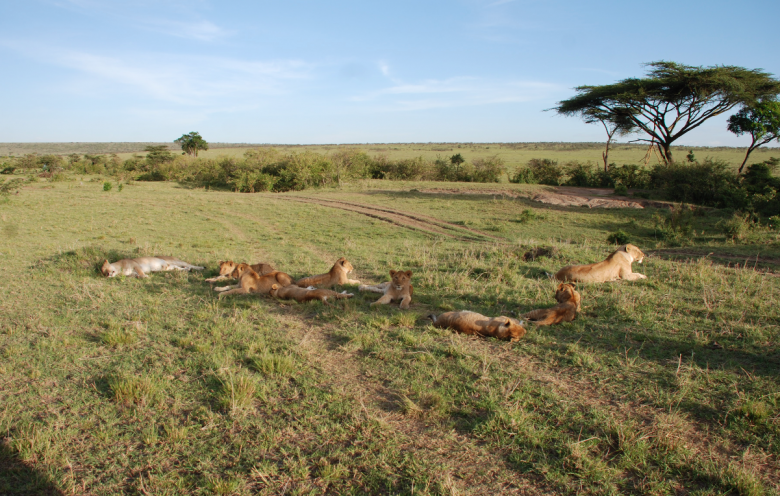 From here activities included game drives with the option of full day safari into the Mara. Bush walks a visit to a nearby rhino sanctuary and time in a Masai village. I even got to plant a tree as part of their eco-tourism project. The highlights were sundowners as the sky turned pink, gin and tonic in my hand and abundant game in close proximity. 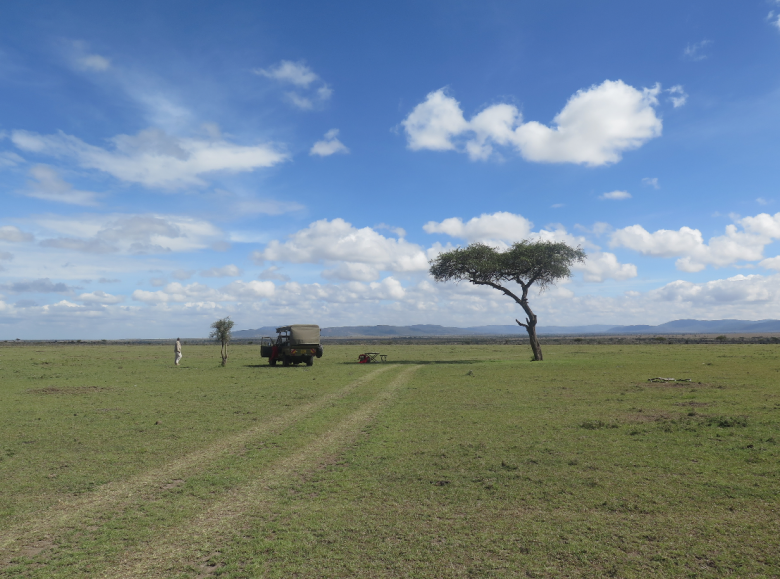 There really is something different about a Mara safari, the grass looking neatly mowed and the game relaxed. So they should be, after all this part of the world has always belonged to them. We parked the land rover outside an unassuming settlement with a makeshift fence constructed from branches. The middle ‘kraal’ area is where the goats are kept at night, about ten mud hut homes circled it. Greeted by a beautiful Masai Warrior, we were invited to enter the remote and untouched Intarakwa Masai village. Adorned in their red check blankets, synonymous with the culture, here we were offered insight into their lives and rich traditions. Access is easy and there are direct flights from Johannesburg to Nairobi’s Jomo Kenyatta Airport on Kenya Airways and South African Airways. Bear in mind that Nairobi has two airports with Jomo Kenyatta servicing international and domestic flights, while Wilson Airport services domestic flights and smaller air transfers. Bear this in mind if booking a connecting flight, as you will need to allow plenty of time to get from one to the next with Nairobi’s rather notorious traffic. Transport within the country is easy with domestic flights connecting you to other destinations such as Malindi. I also took the Coastal Air bus between Mombasa and Nairobi, a ten hour trip through the Tsavo National Park, I recommend doing this by day rather than night. The train seems unreliable. Currently, South African’s don’t require visas for leisure stays of under 30 days. The currency is the Kenyan Shilling and you’d do well to carry cash when in remote areas. Visa is the most widely accepted credit card. I picked up a local Safaricom Simcard on arrival and 1GB of data and some airtime cost about R200 and lasted me well. It really is the most cost effective way to stay in touch. Wifi and connectivity is good throughout with this network. 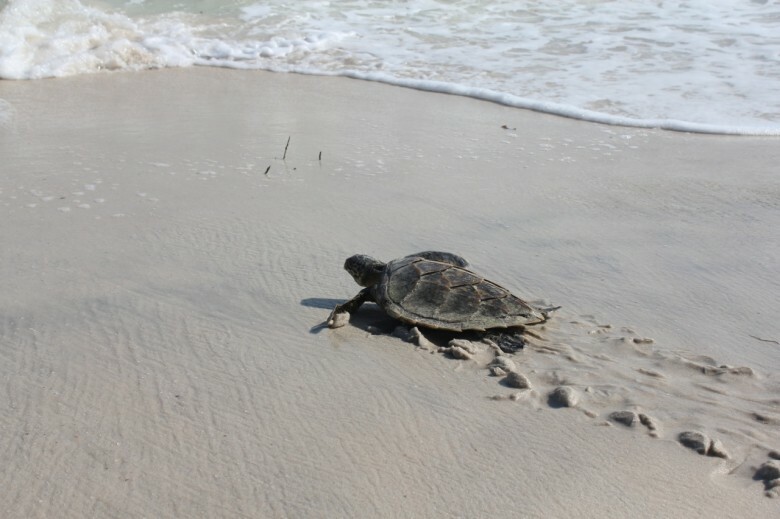 Definitely consider spending time as an Eco Visitor at the Local Ocean Trust: Watamu Turtle Watch. I can’t recommend the experience and inspiration taken enough. Connect with Kenya Tourism and follow the #MagicalKenya #WhyILoveKenya and #VisitWatamu conversations. In Nairobi I stayed at the Villa Rosa Kempinski Hotel, followed by a few nights at their incredible sister lodge the Olare Mara Kempinski in the Masai Mara. An option for more affordable accommodation in Nairobi is the Wildebeest Eco Camp in Karen, where I highly recommend the deluxe safari tents, as well as their casual buffet dinners. In Watamu, at the Watamu Medina Palms and in one of the gorgeous “Discover Watamu” beach houses, a wonderful option that provides flexibility and freedom. My video of Magical Kenya. Flying into the Masai Mara, visiting a Masai village, learning more about protected rhinos, viewing the game and visiting the Mara river. 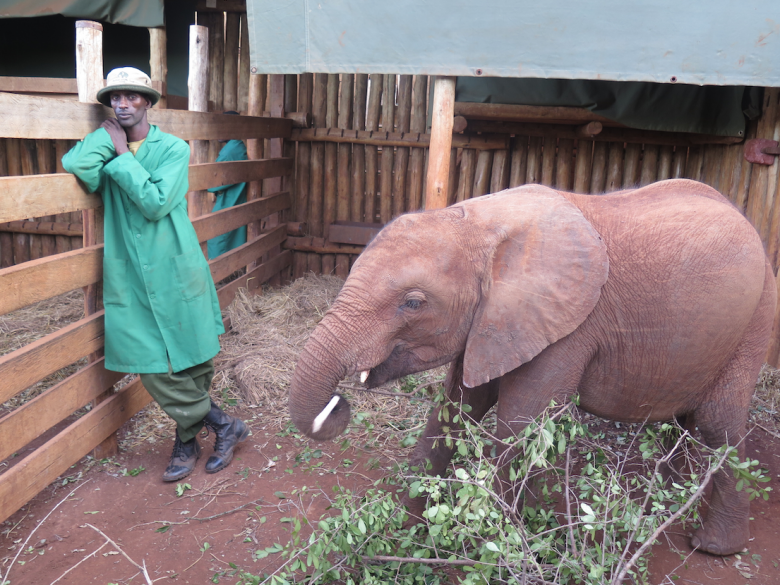 In Nairobi we visited the Elephant Orphanage, adopting a baby elephant. As well as the Giraffe Centre. This article first appeared on Travelstart. Read my other Published Work here. Masai Mara is indeed undeniably one of the Africa wildlife reserves thus a travel destination with lots of adventures. It truly is, one of the most magical experiences I’ve ever had, my time there. Thank you for reading and commenting. 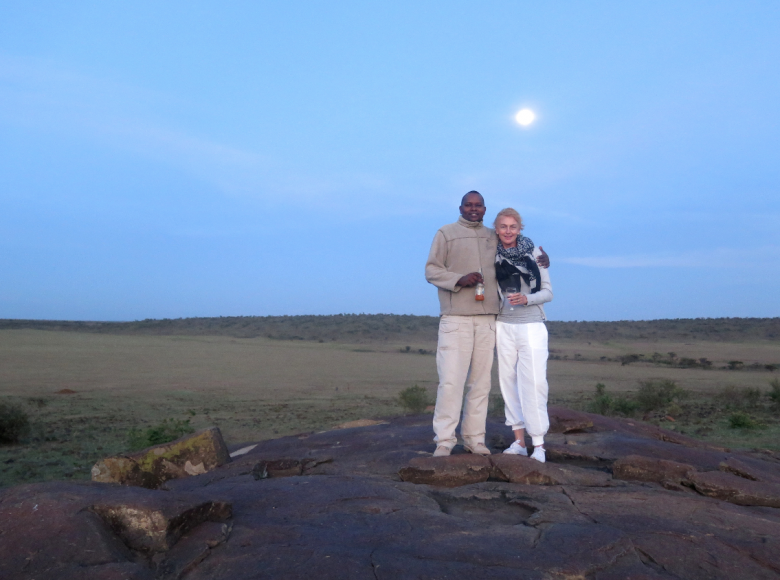 May we both get back to the Masai Mara soon. Welcome! I may travel there next year in August with a group of tourists who will afterwards go to Serengeti.